Stay-at-home moms and dads may soon find it more of a challenge to get the best credit card in their own name. The Federal Reserve recently provided additional clarification of the Credit CARD Act of 2009, and issued new guidance to credit card companies that will make it almost impossible for non-working spouses to have their own credit card. The new ruling requires credit card companies to look at individual income for people applying for individual credit cards. They are no longer allowed to consider total household income to issue credit. Now, stay-at-home spouses will not qualify for credit cards if they do not have specific income themselves. Stay-at-home spouses will be required to build their own credit history and show proof of individual income when applying for a new credit card. The Federal Reserve issued the ruling in order to ensure that the person applying for a credit card actually has the means to pay the bill when it is due, thus reducing the likelihood of default. Credit card companies are required to begin complying with the new rule starting in October 2011, though some credit card companies have already begun implementing the policy. If you’re a stay-at-home parent or spouse and you cook, clean, and care for the home while your significant other brings in the bacon, that may work perfectly well in practice. But in the world of consumer credit, your credit card company doesn’t care how much your home-making skills are worth. 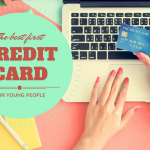 You can’t pay off a credit card bill by offering to watch some watch the credit card issuer’s kids, change their car’s oil, or prepare them a roast. So as the new guidelines take effect, how can you build and maintain your own credit history if you don’t have a pay stub in your name? Here are three ideas for how a non-working spouse can gain access to credit and build a solid credit history. Apply for a joint credit card. If you’re a stay-at-home parent and your spouse or domestic partner is employed, you can get credit in your name if the two of you sign up for a joint credit card account. Credit card companies will use your combined income to determine if you qualify for credit. Keep in mind that both of you will be held equally liable for the debt. Of course, this can play havoc if you get divorced and half the debt becomes yours and you still have no income. Consider a secured credit card. Stay-at-home parents can get a secured credit card in their name very easily. This may be one of the simplest and most efficient ways to establish your credit history. Secured credit cards are pre-loaded with cash that you send the credit card company, and your credit limit is restricted to the amount that you deposit. Become an authorized user. Being an authorized user on your working spouse’s credit card can help you get access to credit. While the legal liability for any incurred debt resides with the cardholder, the account will in most cases appear on the authorized user’s credit report, thereby helping (or hurting, as the case may be) their credit score. Once the new rules take effect, stay-at-home parents and non-working spouses will still have access to credit. That being said, the above workarounds fall short of having your own credit card with rewards in your name, and don’t provide the necessary means for those with no reportable income to obtain the best credit cards. What do you think? Is the Federal Reserve going too far? 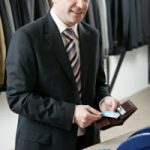 Is it reasonable for credit card companies to require individual applicants to prove that they can pay their own credit card bills? Or, is using household income on a credit application sufficient? I’d love to hear your thoughts in the comment section. be the actual slogan for those of us together with Coeliac disease or even any kind of gluten intolerance. to present gluten free treats in most of it’s flights. Not, it is possible to mandate that many each cafe be required to use a food selection for virtually any and many types of foodstuff hypersensitivity. And although Sookie Stackhouse coming from True Bloodstream can read thoughts within other characters’ heads, that doesn’t imply your own neighbor understands your difficulty with wheat or grain when they ask a person around for any dinner party. I agree with the new rule. Why should banks be giving credit cards to people who have no income or assets? For the stay at home people: get a paying job or find someone to cosign for you. Using spousal abuse as an excuse to prevent credit reform is lame. If you are abused, go to your family, friends, a shelter, police, etc… But don’t go to a credit card company. This requirement is actually BEST for community property states because when two spouses equally share income and expenses, it is possible for the non-working spouse to run up $100,000 worth of debt and then stick it to the working spouse without his/her knowledge! I think it is important that the spouse who earns the money also is on top of things when it comes to spending that money to ensure that less money is going out than what comes in to establish a family nest egg. The Federal Reserve is a group of private banks that are owned by non-elected individuals. The Federal Reserve is independent and does not answer to Congress. The idea that THEY should decide what is best for the country is terrible. Aside from that, I actually think it is a good idea for credit card companies to deny credit to spouses that earn no income…although this is a decision that should remain between the people applying for credit and those granting credit. Courtney – I understand your point of view. I’m only saying that relying on a credit card to get you out of an abusive situation may not be the best option. It surely isn’t the only option, and having a credit card shouldn’t be praised as a “tenet” of personal finance for women as Ellen suggested in her comment. It may be one of several options and hopefully a means of last resort if available. Do women go from there parents house into a marriage and never hold a job anymore? This article and some of the comments seem apt for a time period in the past but are outside the experiences I’ve witnessed with my peers. I know a few couples that wed just after college, but both had to work due to cost of living at that stage. Many more who held job and got apartments, thus entered marriage with their bank accounts (often with a car loan or student debt as well). I can see where this new rule will enforce a kind of customer loyalty (stay at home parent must keep the card they have instead of getting new ones). It is typical that when government steps in to make a rule to solve one problem that they can create another, but unsure how many it will affect in the current generation. While it’s a good point that it may impact women in abusive relationships, I think overall it’s a good idea, but the decision to issue a card or not issue a card should be left up to the banks. If you don’t have the means to pay back the balance, then you shouldn’t have a credit card. It’s really just an unsecured loan, which if you default, leaves the bank out in the lurch. That’s why interest rates are so high. Those that are paying off their balances are paying for those who never do. I also like the point of community property states. Seems like the Fed didn’t really think this one through. Shocker. Hank – How exactly is a stay-at-home mother who is being abused supposed to obtain this money that she is saving in her emergency fund, when presumably she has no income and her husband is almost certainly controlling the household finances? On an only slightly less sour note, if a woman’s only access to credit is as an authorized user on her husband’s account, she may someday find herself divorced with no credit history to secure housing, utilities, insurance, etc. It’s another nail in the coffin of traditional motherhood. And simply another way to shaft women. We pay off our balances every month, so the only reason my husband and I have completely separate credit accounts is in case one of our identities is stolen. This may change by October, but there\\\’s a simple solution to this problem for now: lie. Those under 21 are already instructed on credit card applications to list only their personal income. But there\\\’s nothing actually stopping you from including your parents\\\’ income. Regardless of whether you lie or not, I question how important income is anyway. In the 1.5 years I\\\’ve been legally allowed to have my own credit cards, I\\\’ve been approved for 5. I used my actual income on some of them and my parents on others. Still got approved. This is also a good place to remind people that being an authorized user on a responsible person\\\’s card helps you build credit. Hank, if a woman is a stay-at-home mother with an abusive spouse (who is almost certainly controlling the household income), where exactly is she getting this money that she’s saving in her emergency fund? On an only slightly less sour note, if a woman is only ever an authorized user on her husband’s account, she may have no credit history if they get divorced – making it difficult to get her own credit, housing, insurance, etc. Seems to me the easiest way around this is to establish credit prior to becoming a stay at home parent. That said I think household income is sufficient. This will only result in an increase of joint applications. One way for a woman to get around the need for a credit card would be to save money and have access to some sort of an emergency fund. Having a credit card or going into debt isn’t a “tenet” of personal finance, male or female. Access to a credit card may ease the situation, but it is not the only solution available. I agree with Courtney. It will disproportionately affect women and it goes against a very important tenet of women’s personal finance. Maintaining a separate credit card account — not simply being an authorized user — is prudent financial advice for all women, regardless of situation. Having access to one’s own credit line — even a very small one — can help a person leave an abusive relationship. Financial dependency is one reason why people stay with abusers. Marriage is a shared experience. As a stay-at-home Dad the only credit card we have, I am on as an authorized user. This doesn’t stop me from charging anything that we need. If this presents problems to some then I would think there are bigger marital issues that need to be faced. Is there a lack of commitment, or a void of financial trust, or active financial deception going on? From a lenders perspective it is prudent to lend to those that have the income to meet the obligation. If a spouse has no income then it makes sense to have the working spouse guarantor the account. Lenders that do otherwise surely can’t expect to get their money back. Should this not be different in community property states? Given that both spouses are responsible for the debt and each own half of the assets? I have to say this bothers me, a lot. This will disproportionally affect women, and I believe will actually put some in danger. A woman being abused could be left with no way to purchase transportation or shelter away from her abusive spouse without him simply being able to look at his credit card statement to see where she’s gone. Boooo, Federal Reserve.